How is Adult ADHD diagnosed? 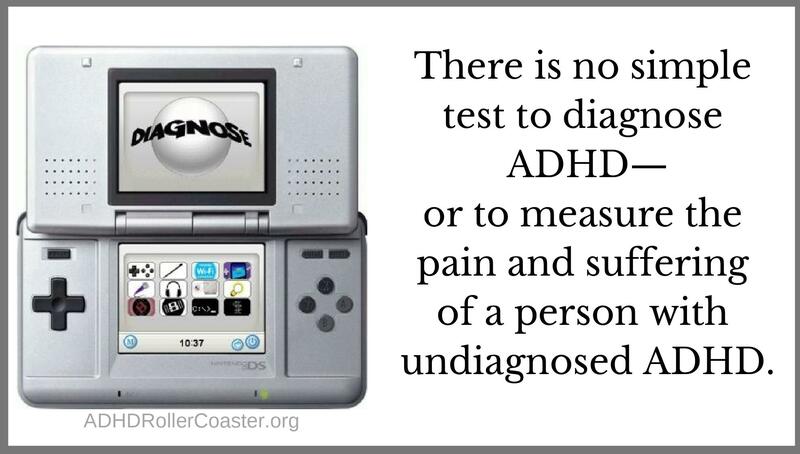 There is no single test to evaluate for ADHD. No computer test. No fill-in- the-blank test. No blood test or genetic test. The anti-psychiatry fringe element lobs these claims as proof that ADHD does not exist. A-hem, neither can you measure headaches, backaches, or many other maladies with a quiz, a blood test, or a genetic test. An ADHD evaluation consists of taking a careful history, using rating scales to get an indication of symptoms and severity, and having a complex understanding of the DSM-5 diagnostic criteria.